New Delhi, India: North Atlantic Books/TBI "The Rainbow Body- The Life and Realization of a Tibetan Yogin, Togden Ugyen Tendzin, presents the remarkable life story of Togden (a title meaning "endowed with realization") Ugyen Tendzin (1888-1962) who, at the end of his life, attained the "rainbow body." Described as the release of the physical body to the essence of the five elements leaving no material body after death, the rainbow body has been achieved by advanced Tibetan masters in the Dzogchen tradition. It is believed that the rainbow body is an immaterial body, invisible to the physical eye, that continues to exists, actively working for the benefit of all sentient beings. Tendzin's nephew, author and Tibetan teacher, Ch gyal Namkhai Norbu, developed the book from extensive interviews with Tendzin and information received from one of his closest disciples. Written mainly in first person, as if Tendzin himself were retelling the events of his life, the book traces his childhood struggles and the circumstances which led him to his teacher Adzom Drugpa Drodul Pawo Dorje, one of the greatest Dzogchen masters of the last century. Describing the lessons and instructions Tendzin received from his master, the book ends. Printed Pages: 160.. Softcover. New. 14 x 23 Cm. New Delhi, India: Bucher Publishing/TBI Each year, more than 3,000 Tibetans secretly flee their homeland over the Himalayas. The photography of Dieter Glogowski and insightful texts by Franz Binder paint a comprehensive picture of the history and the current situation in Tibet. To show readers the treacherous landscapes that many Tibetan children cross when they flee the country, Glogowski accompanied two local children over the 19,000-foot high Nangpala Pass en route to Nepal. His photos present a re-enactment of the dangers involved in this journey. Printed Pages: 168.. Hardcover. New/New. 23 x 27 Cm. New Delhi, India: Wisdom Publication/TBI The Tibetan saint Tsongkhapa (1357-1419), the founder of the Dalai Lama's tradition of Tibetan Buddhism, was renowned for his vast learning, meditational achievements, influential writings on practice and philosophy, and reform of tantric religious practices. A deeply humble and religious man, he expressed himself in exquisite verse. 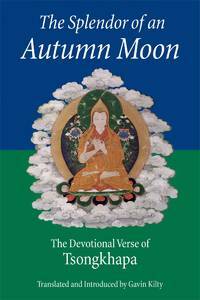 Here, twenty-one devotional poems by Tsongkhapa are presented in both the original Tibetan and in English translation. Each verse ? dedicated to the Buddha, bodhisattvas, and lamas ? illuminates some aspect of the Buddhist path. Gavin Kilty's commentary places each prayer into context, and his careful, artful translations will appeal to anyone with a love of poetry.. Softcover. New. 15 x 23 Cm. New Delhi, India: Motilal Banarsidass Publishers Pvt. Ltd., 2017. The Life of the Madman of U tells the story of Kunga Zangpo (1458-1532), a famous Tibetan Buddhist yogin of the Kangyu sect. Having grown weary of the trials of human existence, Kunga Zangpo renounced the world during his teenage years, committing himself to learning and practicing the holy Dharma as a monk. Some years later he would give up his monkhood to take on a unique tantric lifestyle that entailed dressing in human remains, wandering from place to place, and provoking other to attack him physically, among other norm-overturning behaviors. It was because of this asceticism that Kunga Zangpo came to be known as the Madman of U. David M. DiValerio translates this biography, originally written in two parts in 1494 and 1537, making accessible to a modern audience a rich depiction of religious life in fifteenth-and sixteenth-century Tibet. 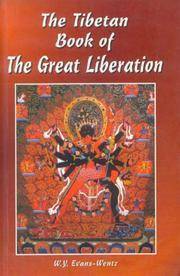 The book also details Kunga Zangpo's many miracles, a testament to the spiritual perfection he attained. His final thirty years were spent at his monastery of Tsimar Pel, where he dispensed teachings to his numerous disciples and followers. The Life of this remarkable and controversial figure, now available in English for the first time, provides new means for understanding the tradition of the "holy madman" (smyon pa) in Tibetan Buddhism. Printed Pages: 248.. Softcover. New. New Delhi, India: Timeless Books/TBI This dignified testament by a great spiritual and temporal leader, driven into exile by Communist China, is one of the most heartbreaking documents ever published. His Holiness the fourteenth Dalai Lama of Tibet relates the story of his brief, tumultuous reign climaxed by the appalling humiliation and systematic murder of his people by the Chinese. A civilized, compassionate man and a sincere reformer, he writes of the simple Tibetan life into which he was born, and among whom he, as the reincarnation of his predecessor, was discovered and declared Dalai Lama according to his country's ancient customs. During and after the invasion, the Dalai Lama appealed to the United Nations, and the International Commission of Jurists undertook a detailed study of the situation. The horror uncovered by the Commission surpassed sanity and reason, and it is detailed in these pages. My Land and My People is a tragic book. Yet, it is deeply inspiring, for the whole story is told with the gentle forgiving spirit of a Buddhist monk.. Softcover. New. New Delhi, India: Shambhala Publication/TBI Softcover. New. 16 x 23 Cm. 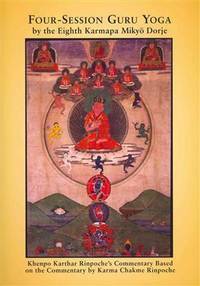 New Delhi, India: Shambhala Publication New.